The Top 10 Dating Apps. These are the best dating apps based on user reviews. The app analytics company Applause this year published a study of 97 dating apps that compares the apps based on user reviews. To qualify, an app needed more than 2,000 reviews combined from the iTunes App Store and the Google Play store. Below we have listed the most popular dating apps after how well they fared in the study, with the 1st placed app scoring the highest user satisfaction among the popular apps. But which app scored the highest in the study? That honour goes to the little known app JustSayHI (download to iOS or Android), followed by the Surge and Mingle apps. These apps are not that popular yet though, so we have excluded them from the the Top 10 list below. 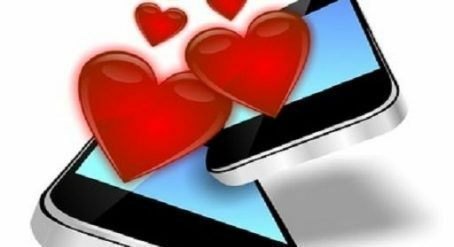 The 10 Best Dating Apps. Jaumo is one of the best rated flirt apps. It has more contacts than most apps and all contacts are completely free. You can write as many messages as you want. OkCupid uses questions to matchyou with others. The interface is like Tinder, letting you swipe yes/no to people around you. When you open this app on your phone, you’re greeted by a collection of other users with whom you’ve physically crossed paths with throughout your day. Creepy, but fun. Coffee Meets Bagel shows you only a few matches per day. No swiping features, just a few quality matches per day. Bumble lets you swipe yes/no on profiles. But women have to be the ones to message first! This way they wont be overwhelmed with messages from horny guys. Tinder was the app that set off the dating app craze. Its iconic interface lets you swipe yes/no on a series of potential dates. New updates have rolled out features like the “Super Like” and have put things like your job and education on the front of your profile. Lulu isn’t a traditional dating app, but rather, a girls-only app that lets women rate men anonymously. The men, who are all guys the women know via Facebook, are rated on a scale of one to ten. Their profiles are automatically pulled in when the women they know access Lulu. Match was one of the original online matchmaking services, and bills itself as having made the most dates, relationships, and marriages. It is definitely for a crowd that is more serious about finding a lasting partner. Zoosk recently had to lay off a third of its staff after being crushed in the market by apps like Tinder. It has features like photo verification, which lets you confirm that your photos are actually you. We encourage you to rate your experiences with the different companies on these pages. Please use the Star Ratings system to rate a company from 1 to 5 stars, with 5 stars being the highest rating. The rating is meant as an overall customer rating. You can also leave a company specific comment in the comment section below each page, if you have praise or a complaint that you want to share.